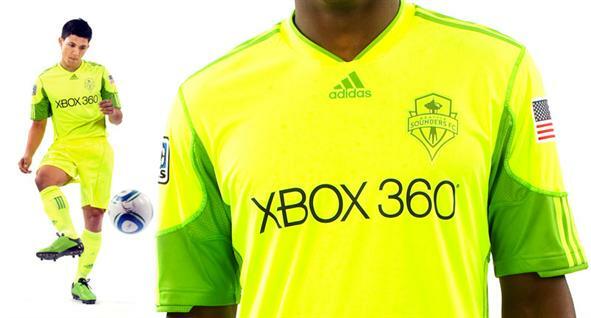 Seattle Sounders FC revealed their new third kit last week and it’s very, ah…well, bright. Not that there’s anything wrong with that. People’s color preferences are their own personal choice. But seriously. This one could guide ships into Puget Sound on a dark, foggy night. Thankfully the new strip will be used sparingly says Sounders GM Adrian Hanauer, and we’re onboard with that decision. How can you go past the team’s lime green anyway? You can’t. Is it me or do Seattle sports teams really enjoy bright colors? You know, you’re 100% right! Excellent color! Someone has to come out with the different colors. Every is either red, white or blue. Totally agree Rodolfo. I really like what the Sounders are doing.